If you haven’t tried coconut milk, you’re in for a treat. Not only does it have the delicious, mildly-sweet flavor of the coconuts from which it is derived, it is also packed with nutrition and offers a host of health benefits. 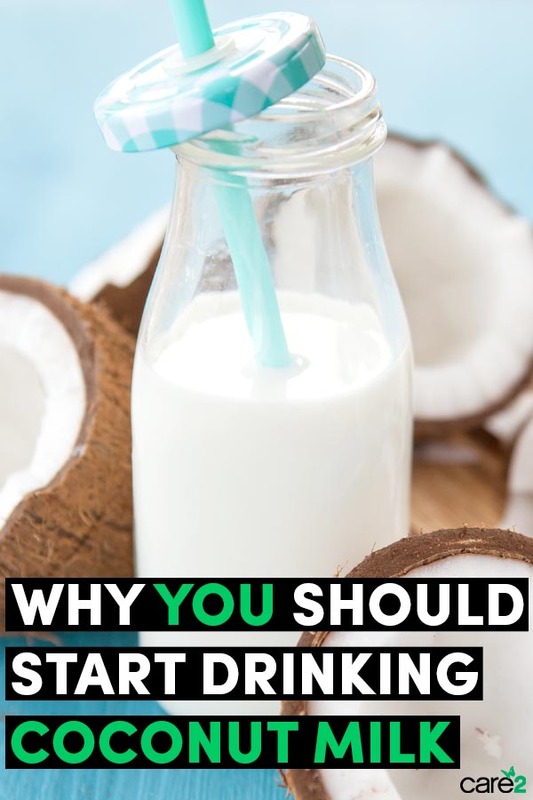 Here are some of the best reasons to start drinking coconut milk, which should not be confused with the cans of coconut milk, which are technically coconut cream, or the coconut water, which is a clear beverage. Just one cup of coconut milk contains 5 grams of protein, which is needed by the body to build muscle, regulate blood sugar levels and heal tissue. Coconut is rich in healthy fats known as medium-chain triglycerides (MCTs) which have been found to help boost metabolism and may help restore healthy thyroid functioning. The thyroid gland is a butterfly-shaped gland in the neck that is involved with metabolism. Because one cup of coconut milk contains about 22 percent of the recommended daily intake of iron, it is helpful to alleviate or prevent iron-deficiency anemia, which tends to cause fatigue and muscle weakness. Because coconut milk contains 22 percent of the recommended daily intake of magnesium, which is known as nature’s relaxant, drinking coconut milk can help ensure you’re more relaxed and that your muscles are better able to relax. While the research is in its infancy, the natural oils (MCTs) found in coconut milk may be helpful in the treatment of Alzheimer’s disease. There has been a lot of controversy surrounding the use of coconut for those who are at risk of cardiovascular disease; however, a study published in the medical journal Postgraduate Medicine found that coconut may be beneficial for cardiovascular health. Of course, if you have heart disease and have any hesitation you should check with your nutritionally-minded physician (most medical doctors do not have any training in nutrition and probably won’t be able to advise in this regard). 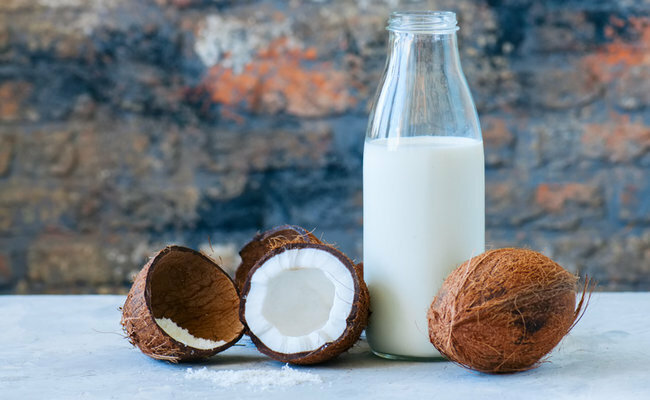 Research in the medical journal Cell Death Discovery found that lauric acid found in coconuts and coconut milk caused cancer cells to commit suicide, suggesting coconut milk and other coconut products may have a place in the treatment of cancer. The results are early and will require additional research but it can’t hurt to start enjoying coconut milk while you await further study results. Coconut milk may offer similar benefits to anti-ulcer drugs when it comes to the treatment of stomach ulcers. According to a study published in the journal Phytotherapy Research, drinking coconut milk reduced stomach ulcer size in animals by a whopping 54 percent, which is comparable to the drug treatment for the condition. Coconut milk contains a potent antibacterial agent called lauric acid. In a study published in the journal Antimicrobial Agents and Chemotherapy, researchers found that lauric acid demonstrated antibacterial activity against a variety of bacteria. Coconut milk contains a natural compound known as lauric acid which has been shown in a study published in the Journal of General Virology to have antiviral properties. Dr. Michelle Schoffro Cook, PhD, DNM shares her food growing, cooking, preserving, and other food self-sufficiency adventures at FoodHouseProject.com. She is the publisher of the free e-newsletter World’s Healthiest News founder of Scent-sational Wellness, and an international best-selling and 20-time published book author whose works include: The Cultured Cook: Delicious Fermented Foods with Probiotics to Knock Out Inflammation, Boost Gut Health, Lose Weight & Extend Your Life. Follow her work. Sounds good, too bad I'm allergic. I used to love when my mother brought a coconut home and we put holes in it and drain the milk so we could drink it before cracking it open to eat it. Delicious! Haven't had it plain in a while but based on my palate have had a lot in food. Thanks.